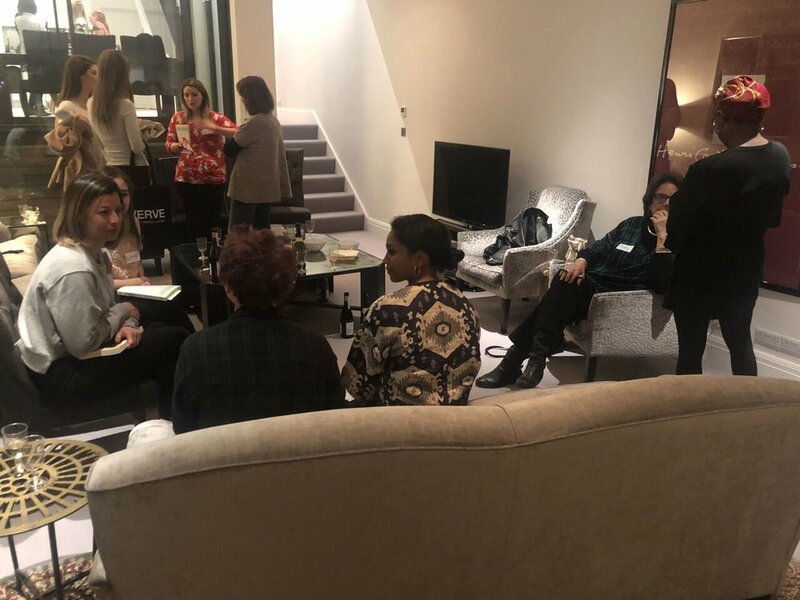 WHY : The VERVE community came together in London on Friday 6 April for another Prosecco Think Tank… with a twist. This month we had the pleasure of welcoming Molly Melching, founder of Tostan and an incredibly inspirational woman. Thirty amazing women gathered at VERVE London HQ for prosecco, pizza and meaningful conversation led by Molly. Shout out to Clare, our VERVE New Zealand PTT SHERO, who found the time to come along to our PTT while holidaying in London! What did we take away from this month’s PTT? Molly discussed her journey from being a young American exchange student in 1979 specialising in French literature in Senegal to finding her passion in national languages and creating a children’s center in Dakar. She went on to develop a new type of development program which engages communities and creating community-led change. Since founding Tostan, the human rights-based education programme has reached over three million people resulting in over twenty thousand women taking on leadership positions in their communities and over three million people living in communities that have publicly declared an end to female genital cutting. To read more about Tostan’s work check out their website. To find out more about Molly’s journey, check out her book. We discussed social norms, which are a “collective representation of acceptable group conducts.” In other words, a social norm is an action created by a society which is considered the standard behaviour. Opposing these social norms can lead to social exclusion. Molly explained that transforming social norms requires community-led discussions that facilitate a change in the way that something is perceived. Female Genital Cutting (FGC) was previously considered a social norm for some cultures, however, by mobilising community-driven initiatives and discussions, this norm was reversed and FGC is now seen as unacceptable. This can equally be applied to our daily lives. 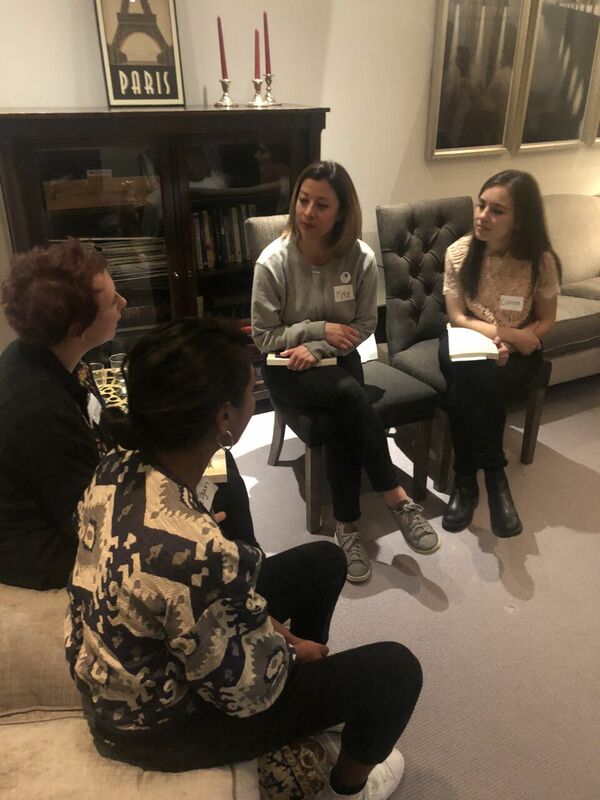 For example, we discussed how in a male dominated workplace where misogyny is seen as the social norm, we need to mobilise male allies who can help transform the conversations and behaviours that are seen as ‘normal’. We discussed the meanings and connotations that labels can have in a society. Categorisation and the words we use to describe things can open or shut off conversations. Given that FGC was a social norm in certain cultures, families that practiced FGC did so as an act of love for their children. The label FGM vilifies communities, creating a social disconnect that comes with stigmatisation, making communities more reluctant to discuss the practice. A simple name change opens up communication in these communities rather than closing them off – an important tool in ending the practice of FGC. Molly explained that through her work, she realised that sometimes it wasn’t her place to discuss certain topics, such as FGC, with the communities she worked in. As an outsider, you can’t simply stroll in and tell people what to do when you have no deep understanding of the issues that they face. Sometimes the best thing we can do for other people is shut up and listen. Be an ally, find out how you can support others in their fight for equality, and don’t make it about you. Overall, this PTT was an eye-opening experience which really got us thinking about how we can drive change through community-led initiatives. Whether that’s in the international development sector, or in the workplace, we learned that challenging damaging social norms is a complex process that can’t be done overnight. We’re all in this for the long haul! Why Do We Still Need Black Feminism?